Our idea at foretaster was to create a super simple yet powerful web analytics tool for web services (SaaS). After a while, we've noticed that foretaster is also used by numerous lead generation sites. And quite a few of them are travel agencies. 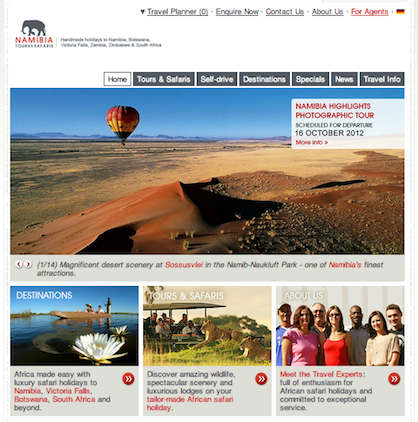 Namibia Tours Safaris offers safari tours in Namibia and surrounding countries and they use foretaster to analyze new leads on their website. "The emails are great for multi-channel attribution where before we could only attribute the last touch to the lead, now we can see where users first came to the site and what they did after that leading up to the conversion so it's very useful." 1. With foretaster it's easy to identify hot leads. 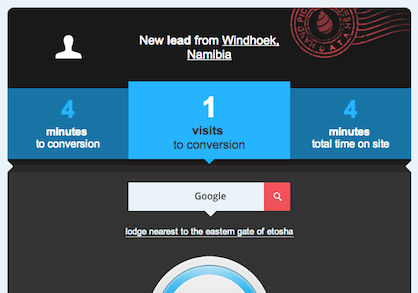 Ian can immediately see, that the new lead is from Namibia and the person was searching for lodge nearest to the eastern gate of etosha on Google. He can then follow up with a more personalized message. 2. Ian also uses foretaster to better understand the decision making process of his clients. Safari tours are not exactly cheap - people need some time before they fill out the inquiry form on the website. 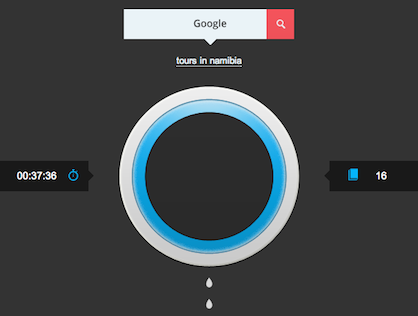 At first, they may search for "tours in namibia" on Google. 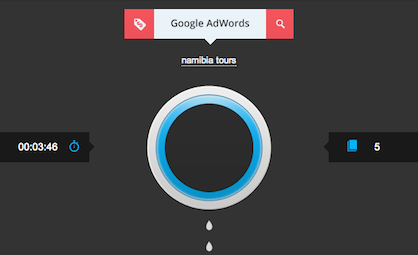 Sometimes they click on the Adwords ad. Customers need hours or even days to decide. 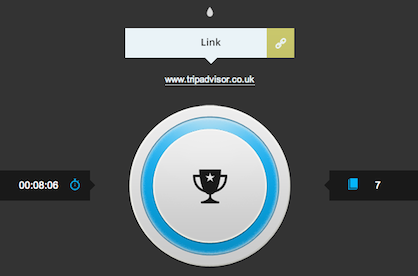 And the final reservation of safari tour they finish during the visit from Tripadvisor (review site). Or when they come from social networks like Facebook. foretaster gives Ian a deep understanding of the story of every customer. Still not using foretaster? Sign up now!